How to move fragile items safely? Moving house can be stressful with so many things to organise and so much to think about. While most of your belongings can be approached in a similar fashion, extra care needs to be taken when moving fragile and destructible items. Whether it’s a valuable piece of artwork or a large and awkward lampshade, it’s important to take extra care of the things you really love. Certain objects require their own strategy so let’s take a detailed look at how to move house without accidents or headaches along the way. The first step in every successful move is to get organised. While most of your possessions can be moved in standard boxes, certain items require extra attention. It’s important to identify these items during the early stages of a move so you can isolate them and pack them separately. Before anything else, find a removal company who you can trust. Then, dedicate space and time to packing these items carefully, make a list of existing damage, and make sure you have the correct packing materials on hand. Moving destructible items doesn’t have to be difficult when you’ve got a plan. While moving insurance is always important, it’s especially critical when you’re moving destructible items. Insurance should be organised in the weeks leading up to your move to avoid any last-minute panic. You should also take photos of everything from different angles and list existing damage in order to compare items pre and post-transport. While a personal property policy may insure certain things, lost items and breakages may not be covered. Additional moving insurance is recommended, especially when you’re dealing with your favourite belongings. Moving house is a complex and time-consuming process. While you can always do it yourself, most people don’t have the time, energy, or expertise to ensure correct packing and transport. It’s always a good idea to find a dedicated removal company with a professional and caring approach. While large companies may seem cost-effective, small family-owned businesses generally offer a more personal and thoughtful service. Moving companies come in all shapes and sizes, with many companies also offering packing services. This is especially important when you’re moving fragile items or items that are awkward to pack. From crating and palletting through to bracing and cushioning, speciality movers have the equipment and experience to look after your goods properly. Fine art should always be treated with extra care. Different types of art require different packing materials, with specialist art boxes and packing crates both available from moving companies. There are lots of factors to consider when it comes to packing art, which can be just as large as it is expensive. Particularly large or strangely shaped sculptures may require custom crates that have been built to size, so it’s important to organise these things in the weeks leading up to your move. Oil paintings also require extra attention, with acid-free paper typically being used before crating to protect against dirt and moisture. Moving fragile items properly requires the correct packing materials. A removal company will be able to differentiate between different sized items and pack them accordingly. For example, small valuables such as glassware can be placed in small self-contained boxes, which can then be placed in larger boxes for extra protection. Finding a removal company who cares about your belongings is critical. Large and uniquely-shaped items such as lamps and chandeliers will need their own dedicated crates, especially if they are awkward to move. While lampshades and other items can sometimes be nested to save space, it’s normally a good idea to create dedicated packing spaces that have been specifically designed for certain items. Professional moving companies have the equipment and expertise to do the job right. 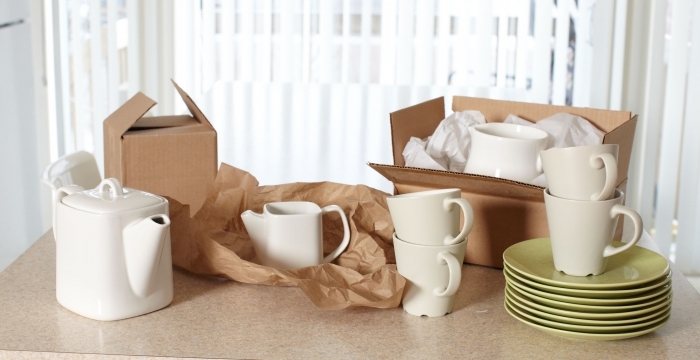 Moving destructible items is not just about packing. You also need to make sure they get to their destination intact. While a professional moving company will take care of transportation, it’s up to you to think about vehicle and personal access at the other end. Do you have keys for the gate? How close can the moving truck get to the front door? How are the movers going to get that large oil painting onto the second floor? Parking and access considerations are integral to a successful move. After all, you don’t want your most treasured belongings left out in the elements for any longer than necessary. With a little extra care and planning, you can move your fragile and destructible items safely. And, with removalists who will make the extra effort to ensure your personal items are cared for, you’ll get the peace of mind you deserve.